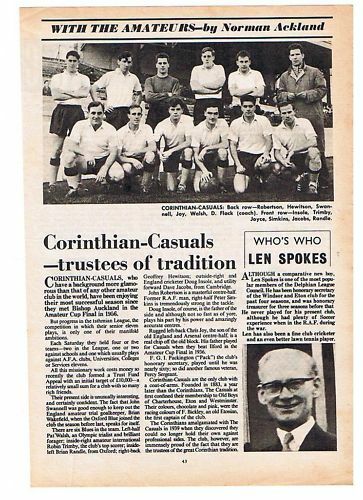 The Corinthian-Casuals Football Club was formed in 1939 following the merger of the two great amateur sides bearing those names. The Casuals were formed in 1883 by a group of old boys from England's prominent public schools. 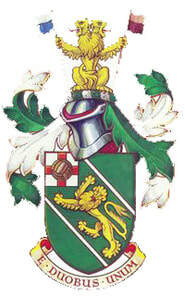 In 1905 they became founding members of the Isthmian League. The Corinthian-Casuals Football Club had played only one game when World War II broke out, though it really wasn’t our fault! Come the recommencement of football in 1945, the club proudly retook its place in the Isthmian League, were it would remain for another 39 years. In 1954, the club beat Epsom 2-0 to win the Surrey Senior Cup. Two years later in 1956, they reached the FA Amateur Cup Final, drawing 1-1 with Bishop Auckland at a packed Wembley Stadium. However the legendary north-eastern club won the replay at Middlesbrough 4-1. A year later, another good run in the FA Amateur Cup saw the club reach the semi-final. After this high point, the club slipped into a long decline, a rare moment of success seeing them reach the FA Cup 1st Round in 1965/66, where Watford won 5-1. The 1973/74 season was an historic milestone; heralding the FA's decision to abolish official 'Amateur' status. As if in empathy with the end of the amateur era, Corinthian-Casuals steadfastly refused to accept the new 'semi-professionalism' and were relegated, for the first time in their history, into Isthmian League Division 2. Further relegation followed after a third bottom finish in four years. Then, in 1984, new ground-sharing rules created by the Isthmian League saw the club unceremoniously thrown out of the league after 65 years of continuous membership (and in spite of a 5th place finish!) simply because the club’s long nomadic history meant it shared a ground, thus did not have one of its own. Ironically, the year this occurred was the best in quite a while. The club reached the 1st Round of the FA Cup, holding Bristol City to a goalless draw at Champion Hill, before losing 4-0 in the replay. The club also made it to the 5th Round of the FA Vase, the replacement competition for the FA Amateur Cup. In 1988, Corinthian-Casuals were invited to Brazil by Sao Paulo Athletic Club (SPAC) to help celebrate their centenary. SPAC had been the club of former Corinthian Charles Miller, the man credited with introducing football to Brazil. It was Corinthian's game against SPAC during their Brazilian tour in 1910 that had led to the formation of Sport Club Corinthians Paulista. 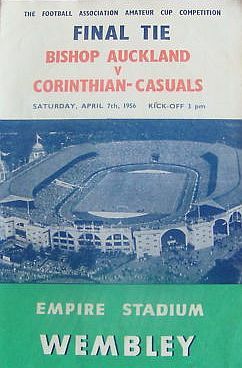 To celebrate the club's first tour of Brazil since the First World War, Corinthian-Casuals also played Corinthians Paulista in a match at the majestic Pacembeu Stadium, which was billed as "a father and son reunion" which the sons duly won 1-0. The goal was scored by none other than Brazilian legend Socrates (left), who played much of the second half for the visitors in the famous Chocolate and Pink. It is a tribute to the historic significance of this event that Corinthians Paulista and Brazil legends Rivelino and Wladimir also played in the match. A YouTube video of the game, which was televised live in Brazil on Globo TV can be found at the bottom of this page. The first season in the Spartan Premier League was a disaster and a second consecutive relegation occurred. Next year, the Corinthian-Casuals fortunes took an upturn when they bounced back as Champions, remaining in the Premier Division for a further 12 seasons. 1988 was a truly historic year, with the club securing its first ever home ground, merging with the crippled Tolworth FC, thus taking over the running of their facilities. 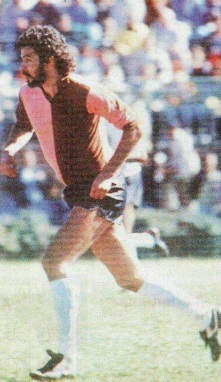 This season also saw the Corinthian-Casuals Tour Of Brazil, when legendary Brazilian international, Socrates, donned the famous chocolate and pink colours for a special game. A runners-up berth in 1993 and winning the League Cup in 1995 were the highlights of the Spartan League era, before the club switched to the Combined Counties League in 1996. This was a greatly improved experience. In the first season, a runners-up spot was achieved to at last win back our place in the Isthmian League. The team’s best finish for many years, 5th in 2000/01, saw them miss promotion by a meagre 3 points, whilst the Reserves won the Suburban League South and London Intermediate Cup. In May, the club toured Brazil again, winning the Sao Paulo Athletic Invitation Cup. Victories were achieved over Paulistano and Sao Paulo AC, though SC Corinthians Paulista’s U21’s inflicted a 2-0 defeat. The next season saw the reorganization of the Isthmian League, with a top 6 finish guaranteeing a place in the new Division 1 South. Although being in the running for much of the season, a late slump saw the Corinthian-Casuals slip to finish in 10th place. However, thanks to some astute thinking, the ground had been improved anyway, gaining a “Grade B” award. Thus, due to circumstances elsewhere, the promotion places sank to as low as 11th and the club got to play its highest level of football since 1978. The new Division 1 South lasted only two seasons, and on each occasion, the club finished in the bottom four. The 2004/05 season saw a reversion to a single Division 1 and, presented with its most exciting squad for many years, New Year passed with the club in 3rd place. However, a heavy loss at Horsham started a stunning decent, and with just two wins in the last 18 fixtures, the club sank to finish in 13th. Much of that promising side were picked off by wealthier neighbours during the close season, the remainder of the squad having an horrendous time the following year, rarely emerging from the foot of the table. The Reserves, however, were doing extremely well by winning the Suburban Football League Southern Division and being runners-up in the London FA Intermediate Cup. After the FA’s continued tinkering with the national non-league set up, Lady Luck came to the Club's aid once more, with a little extra help from some clubs either resigning from Level 4 or disappearing altogether. The result was that the Corinthian-Casuals were reprieved for another season in the Isthmian League, though that wasn’t enough to save the management. Season 2006/07 saw regime change, Brian Adamson appointed as new manager, and hopes were lifted towards an improvement in fortunes. The season was certainly a tale of two halves, with the club eventually finishing second from bottom with more points than they had achieved since 2004/05, a somewhat pleasing 34. The team were very young, the majority without Isthmian level experience, and needed to gain that experience quickly. Up until December, it looked like the team would never get above 10 points. Luck did not seem to be on their side, frequently losing by a single goal. But they played exciting football, all with a speed and passion that had not been seen for several years at the Tolworth ground. With the arrival of the New Year, fortunes changed and the team produced a run of seven games without defeat. They continued with mixed fortunes, right up to the final game of the season. Here they needed to beat Leatherhead to get off the bottom of the table to be in with any hope of avoiding relegation. The 3-1 victory achieved just that, thanks also to the late merger of Hayes & Yeading. While the 1st XI were finding Lady Luck a little fickle with her favours, the Reserves were steadily working their way up the Suburban Premier table. They showed strong nerves when beating Sutton United in the Champions Cup semi-final 2nd Leg, coming from behind to win 2-1 on aggregate. And then in the final, when they beat Waltham Forest 4-2 on penalties, following two hours of football and as many goals apiece. Their second trophy came from a rematch of the previous season's London FA Intermediate Cup final. This time the Reserves held their nerve to beat Metrogas 5-4 on penalties. In 2008 the club enjoyed the momentous honour of celebrating 125 years of football with a commemorative match at Wembley Stadium. After staying up on merit for four consecutive seasons it is clear that the hard work, vision and dedication of management team, Brian Adamson, Kim Harris and Keith Holloway, was beginning to pay dividends. The 2010/11 season was the most memorable for many years as the club lifted the Surrey Senior Cup for the first time in 57 years when Leatherhead were defeated 2-0 in the final at Gander Green Lane. This triumph was a fitting tribute to Brian Adamson who stood down as manager at the end of the season. James Bracken's arrival as Manager at the start of the 2015/16 season heralded the start of an exciting new era at Corinthian Casuals and the club only missed out on a spot in the play-offs due to a controversial points deduction. However, the following season saw the club reach the play-off Final, drawing 0-0 at Dorking Wanderers only to be cruelly denied promotion following a penalty shoot-out. Despite the disappointment, James led Corinth to their second consecutive play-off Final in 2017/18. Sadly, once more the team were to fall at the last hurdle, losing the Final in yet another penalty shoot-out. However, due to Thurrock's resignation from the League, Corinthian-Casuals earned promotion to Step 3 as the losing Finalist with the best points-per-game average over the season. We now enter the Bostik Premier Division 2018/19 season with excitement and anticipation. With James Bracken still at the helm, Corinthian-Casuals Football Club continues to take great pride in our rich and glorious history, as well as in our present day standing as the highest ranked amateur club in England.